Celtron DSR Double-Ended Shear Beam, Stainless Steel Welded Seal Similar to Rice Lake RL75016 SS, Revere Transducers 9203 and Sensortronics 65016W. 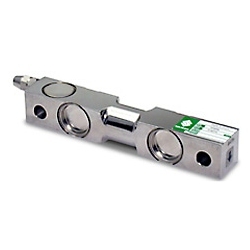 Celtron DSR Load Cells are just a few of the many load cells that we have available for you. The Celtron DSR Double-Ended Shear Beam, Stainless Steel Welded Seal is similar to Rice Lake RL75016 SS, Revere Transducers 9203 and Sensortronics 65016W.